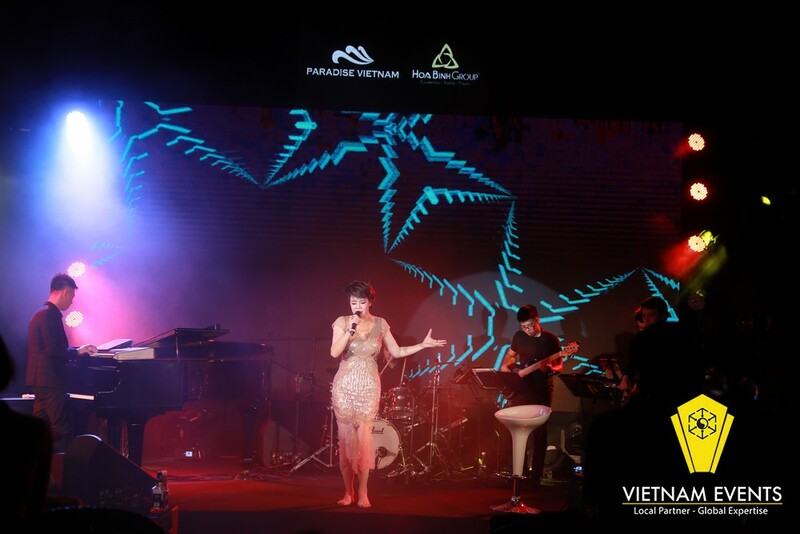 Vietnam Events is confident to supply our AV system to all kinds of live show and music concert in any scale. With a range of cutting edge AV equipment that can make sure both visual and auditory perception of audience will be satisfied. The key factor that makes Vietnam Events can always be a leading supplier, a reliable partner for those music show organizers because our equipment is always available and in the best condition. Furthermore, we always up to date the latest technology therefore our system can adapt any demanded customer such as we own a variety of modern stage lights (Moving Head Light, PAR LED light, Laser lamps, …) to amazing audio system which can fit in different scale (from 50 to over thousands of guests. There is no limitation to what can be done. Call Vietnam Events at +84.98.98.98.198 to discuss your objectives and we will provide creative, impressive and effective solutions every times. 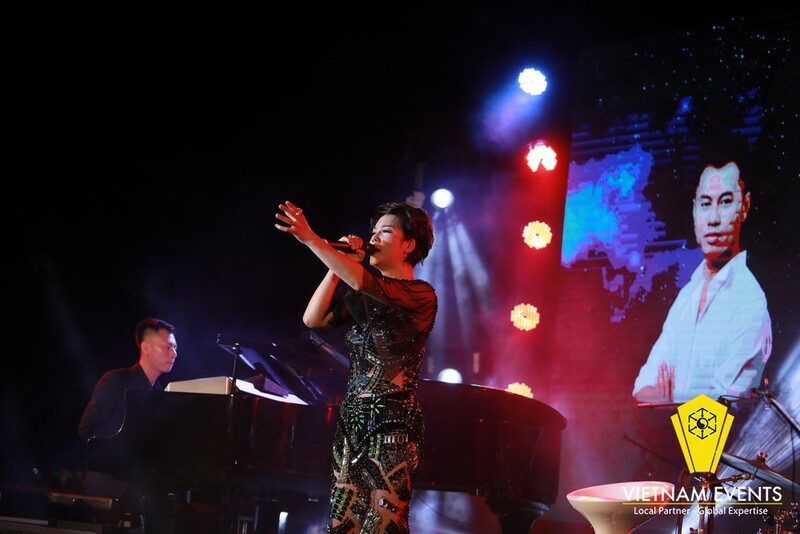 In the evening of June 17th, Thu Phuong was presented at the very first special musical stage in Vietnam: a "minishow" by Vietnam Events staged on a luxury yacht that became a "floating theater" on Ha Long Bay. 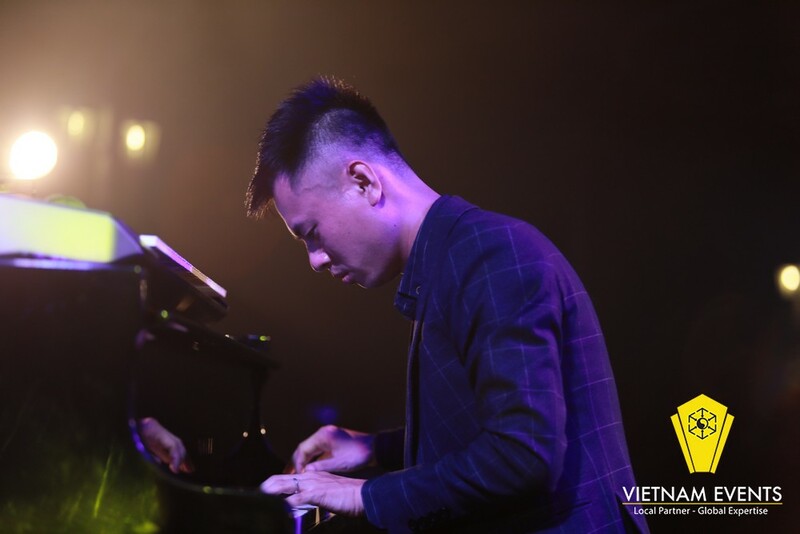 At the same time, the music night “Duong Cam dem Phuong” also marked the first collaboration between Thu Phuong with talented young musician Duong Cam. "Bay di canh chim bien", "Bien can – Khi xua ta be", " Nhu chua bat dau”, “Giu lai hanh phuc”. 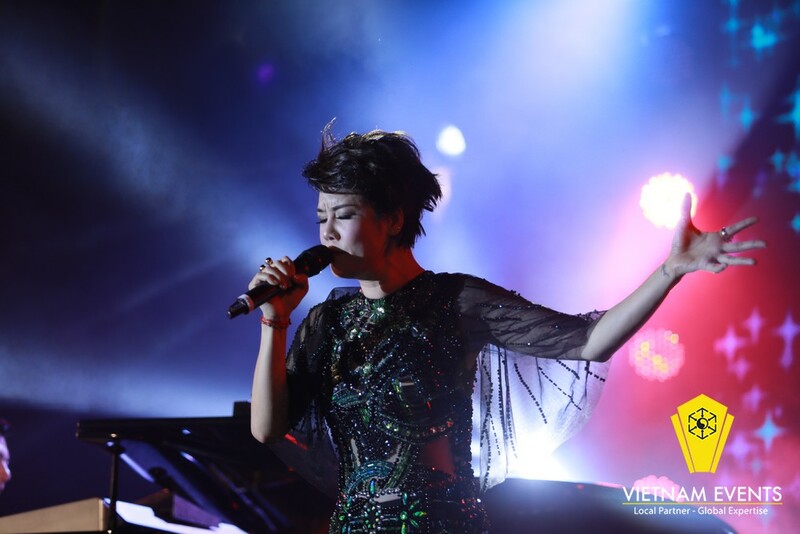 In the midst of the immense scenery of Ha Long Bay, the singer had her “flying” moments with music. Here, Thu Phuong refered her as a daughter of the sea, therefore when singing songs about the sea - her hometown that brang true feelings, the closest and most vibrating to the singer herself. Towards the end of the show, Thu Phuong sang with all of her passion. She asked the audience to take off her high heels and tie dresses to perform. "I am a girl in a fancy skirt, but my essence is a guy. Because of my tough personality, I'm not afraid of challenging”. 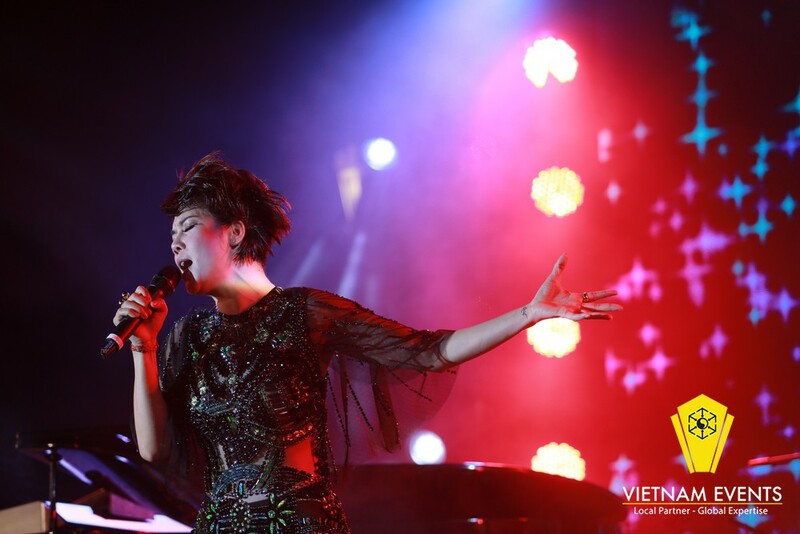 Besides some hits that attached along with her career, Thu Phuong also improvised singing on demand of the audience several songs like "60 nam cuoc doi". Duong Cam and Thu Phuong have many opportunities to meet in music events and feel the harmony in the taste of music of the partner. 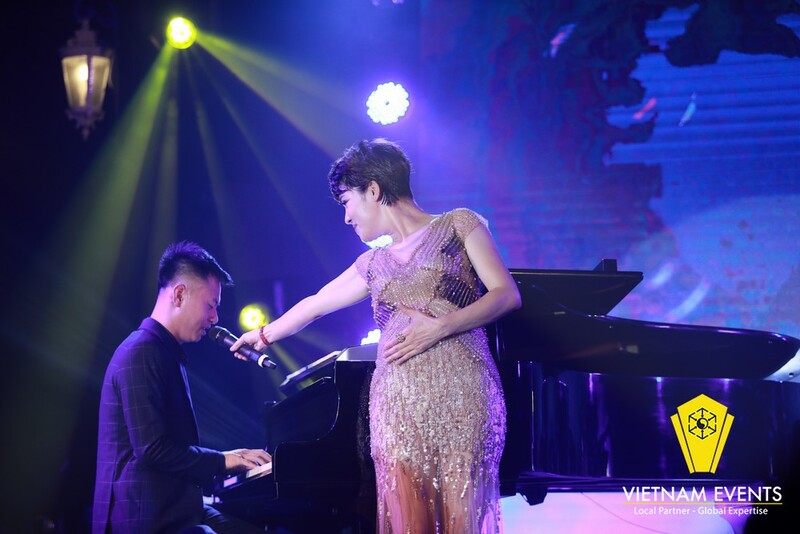 When performing "Mong anh ve", Thu Phuong gave Duong Cam many compliments. She invited the music director to sing the last of the song he wrote. Vietnam Events - the organizer of events, conferences and tourism was honored to be co-hosted the musical show: “Duong Cam dem Phuong”.